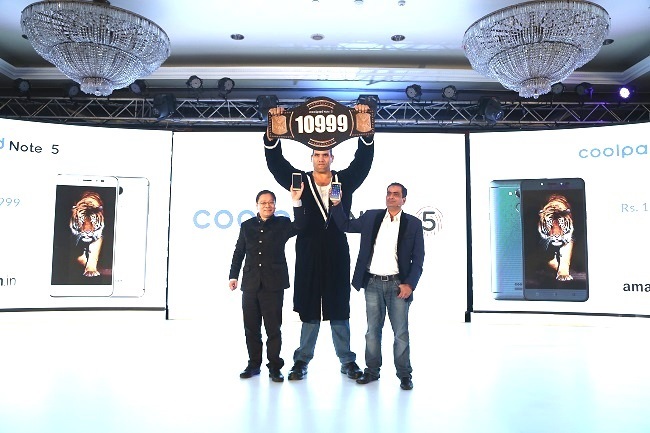 Coolpad has launched the ‘Coolpad Note 5’- one of the most promising Coolpad smartphone exclusively for the Indian market. Coolpad Note 5 a successor to the note series sports an elegant design, intelligent technology and disruptive price. The phone will be exclusively available on Amazon.in at a price of INR 10,999. It will be available in variants of royal gold, space grey starting October 2016 via open sale from 18th October 2016. Coolpad Note 5 features a 5.5 inch display FHD resolution of 1920 x 1080(~401ppi) with 78% (screen-to-body ratio). The phone is loaded with a 4GB RAM along with a Qualcomm SD 617 Octacore processor and comes with 32 GB of internal storage – expandable to 64GB. Coolpad Note 5 has a front facing camera of 8 MP with LED Flash and a 13 MP primary shooter. With the supportive LED flash, users are able to capture brighter photos during the night and under low light conditions. The battery capacity is 4010 mAh with a stand by time upto 350Hrs.